Q&A: WTF the Volkswagen diesel scandal? - Unearthed Q&A: WTF the Volkswagen diesel scandal? Q&A: WTF the Volkswagen diesel scandal? You may have heard that VW has been cheating on its measurements of its carbon emissions, causing its CEO to step down on Wednesday in one of the most unsurprising resignations ever after shares plummeted by a quarter. The deception has meant between 56,000 and 241,000 tons of extra NOx was emitted than expected from the vehicles which may have resulted in hundreds of extra deaths. 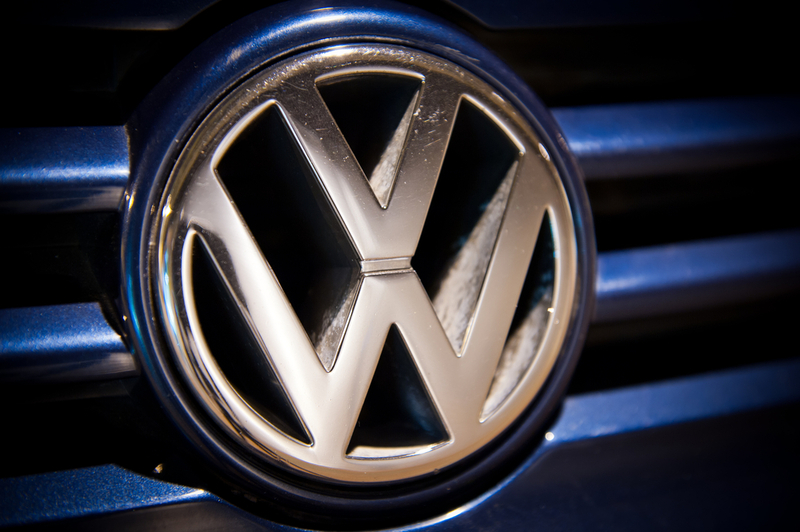 Volkswagen has manipulated exhaust measurements of its vehicles in the US. This was flagged by the US Environmental Protection Agency (EPA), which duplicated emissions tests and found discrepancies. The EPA found that emissions tested in real life conditions were significantly higher than under lab conditions. The non-lab test results were sometimes up to 40 times higher than what is permitted in the US. Investigators discovered the cars were equipped with software that detects if the vehicle is on a test stand and then optimizes the parameters of the engine and transmission to the test situation. The difference between the emissions under different test conditions was initially detected by an NGO, the International Council on Clean Transportation (ICCT). VW this week admitted the use of the software, which it says has been installed in 11 million of their vehicles worldwide. In the United States alone the Wolfsburg-based group is facing penalties of up to $18 billion. NOx exhaust is reduced in many diesel cars through treatment after it’s been produced – but to varying degrees. VW cars with the “defeat device” software – or should that be deception device software – could detect if the car was being driven in test conditions or on-road, and adjusted the amount of treatment scrubbing NOx out of the exhaust accordingly. In lab tests it would effectively prevent most of the NOx from escaping, and on-road it would deliver little or no treatment (cool infographic here). Switching off the exhaust gas purification saves a small amount of fuel and makes the car a little bit more powerful. 1) The purification is done via a catalytic converter that injects urea into the exhaust fumes. In this process NOx are converted into water and nitrogen. 2) In the so-called NOx adsorption catalyst (NAC) the nitrogen oxides are deposited on a surface. If this surface is saturated, the catalyst is regenerated during driving through an additional fuel injection. This regeneration took place only partially or not at all in on road operation of the vehicles. Diesel cars are often more efficient – per liter of fuel – than their petrol counterparts – but this does not necessarily mean they emit less CO2 because diesel has a higher energy content so more CO2 is released when it’s burnt. One thing on which there is consensus is that compared to petrol-run vehicles, diesel vehicles are much worse for air pollution – diesel engines release more nitrogen oxides (NOx) which is a form of air pollution. What are the health impacts of increased NOx exposure? NOx and its derived substances, such as ozone, can trigger asthma, reduce lung function and cause lung diseases including bronchitis, according to the World Health Organisation. It is also associated with increased incidence of heart disease and premature deaths. In Europe, 1 in 10 children have asthma while there is an estimated 335 million people with asthma worldwide. How bad is the air in our cities? NOx from diesel vehicles, such as those tampered with by VW, is a huge problem in Europe. The European air quality monitoring system frequently measures the amount of NOx in our air. People are especially at risk in cities and by major arterial roads. In Germany, NOx pollution at more than half of all monitoring stations on main streets violates the limit. In the UK the problem is so bad the Supreme Court recently ruled that the UK government had take steps to reduce NOx levels – because the UK breaches European air pollution standards. Which thresholds are valid in the US and Europe? The nitrogen oxide limit is much sharper in the US, than in Europe. Diesel vehicles in Germany are allowed to emit 80 milligrams of nitrogen oxide per kilometre, according to European Emissions standards. But in the United States only 40 milligrams per mile (1.6 km) are permitted. Emissions standards can vary in the EU, and member states can opt to have tighter regulations than set out in the EU directive. But they almost certainly won’t because it would make it very difficult for vehicles from the EU market to be sold into their country. Are European models also affected by the VW scam? The German Transport minister was recently quoted saying “we have been informed that also in Europe, vehicles with 1.6 and 2.0 litre diesel engines are affected by the manipulations that are being talked about.” He added that it was unclear how many vehicles in Europe were affected. What is clear is that diesel vehicles in Europe vehicles in ‘real world’ on road conditions exceed emissions recorded in test situations – and emissions standards. This is partly because the test situation, which takes place under less realistic conditions, opens loopholes and opportunities for unfair but legal cheats. Legal cheating during tests is a common and well known practice among all car manufactures. Are models from other manufacturers also cheating the emissions testing system? There is reasonable evidence that this is only the tip of the iceberg.